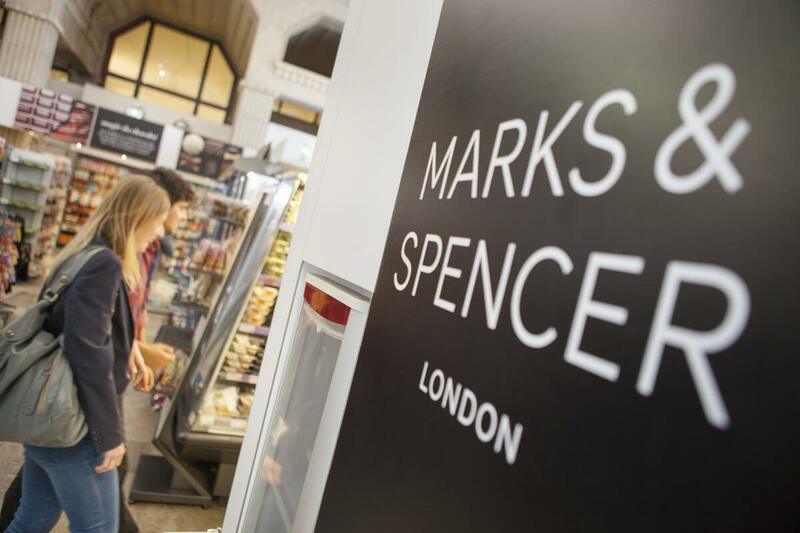 Senior Employee Communications Manager at Marks & Spencer talks about how Slido helps them have more effective communication in their company. Adrian Lowther is a Senior Employee Communications Manager at Marks & Spencer. As part of a team of 12, he’s responsible for building pride in the business and communicating business plans and announcements to 86,000 employees spread across 57 countries. We asked Adrian a couple of high-level questions about how they manage conversations with such a large and distributed workforce. Then we narrowed the focus as we were naturally curious to hear what role Slido plays in their internal communications. Adrian shared some valuable insights and inspiring use cases with us. Adrian, how do you perceive your role in the company? Our goal is to enable people to understand our plans and get their buy-in. How the decisions affect them and what they can do to support them. But we also aim to build confidence in our products and enable colleagues to deliver a great customer experience and build pride in the business so that people feel and believe it’s a good place to work. 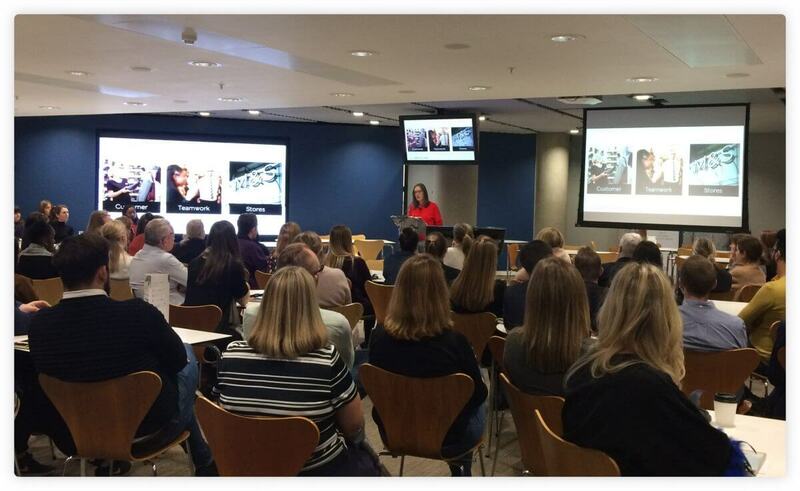 Most importantly, it’s not about just firing messages into the world but having that dialogue between people in offices, distribution centres, warehouses and store colleagues, which is where the vast majority of our colleagues work. How do you create this dialogue? One of the things we definitely do is a Q&A during our meetings. Let’s take, for example, our International Team Day in October, where we were launching a new phase of our international strategy. We’d just been through a restructure, people were adapting to their new roles and they were ready to hear what the new phase would bring. We used Slido for a 20-min Q&A session there to make sure we clarified any issues that arose. Tell us a bit more about how you facilitated this Q&A. The whole morning, attendees fired questions for various presenters into Slido and upvoted them and at the end of the day, we had a 20-min Q&A session. We always have a mix of questions from the room and from Slido. We usually start working our way through them from the most upvoted ones, but sometimes when I see a question that I know is important strategically and we have the right answer for, I highlight it and push it to the top. We had way more questions than we could handle in 20 minutes, but the beauty of Slido is that we knew that we could take away those 30 or 40 questions that we didn’t get to answer and come back to them later at our team meetings. That’s the kind of commitment we always make – if you send your question into Slido, you will get an answer at some point. How do you answer the remaining questions? Sometimes, we’ll create a document with all 30 of them and publish it, other times we group the similar ones together and then tackle them during one of the related meetings. When we see a clearly recurring theme or a question that has been upvoted a lot of times, we take it and develop it into a whole session. You mentioned various meetings so far. What types of meetings do you organize and how big are they? 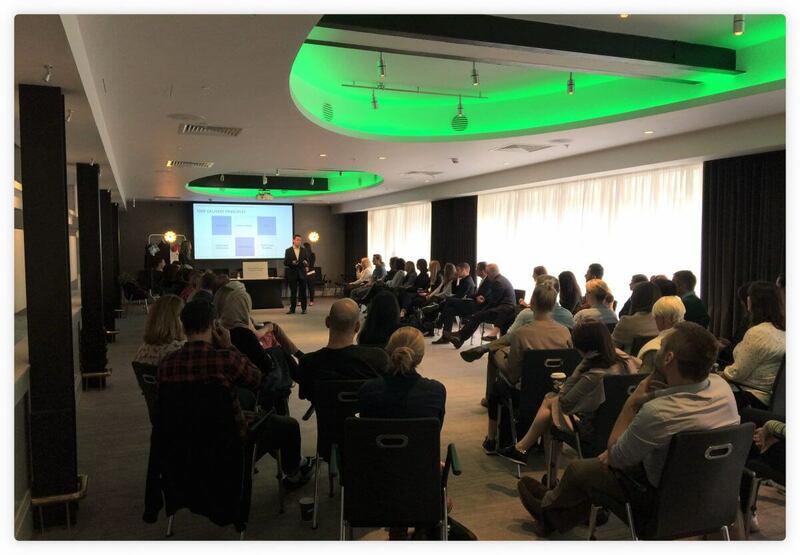 We do everything from small team meetings of 10 to 20 people, through quarterly update all-department meetings with 150-300 people, up to 2 or 3 big conferences a year, which all our store managers and most senior leaders in the business attend (around 1,100-1,300 people). We are also increasingly moving to events that are Skype broadcast, with our regional teams joining in. Our challenge there is to keep the engagement as two ways as possible as well. Talking about engaging remote teams, do you have any special tips on how you do it? We always try to get the presenter to refer to the remote colleagues. We’d say: “Alright guys, we are going to use Slido now, and that includes you over at Leicester…” so that they are as engaged as people in the room. We might also have a live chat going on the broadcast and then I’ll read out the questions the people put there. We simply want our remote teams to have the same experience, same interaction regardless of where they are. Absolutely. People are using Slido offsite, at home, on the road and they are using it in exactly the same way and the same time as the people in the room. That’s something that previously you would get cut out of because you were remote working, whereas now you are just as included. There is really no difference if you’re not in the room. Apart from Q&A, in what other areas do you use Slido? We often use Slido to get people to think during the session. They were designed to help us make the point and immediately check understanding and readiness to start working. We also do a large employee survey. At first, we send out an easy-to-fill survey with scaling options and tick boxes to find out where the main problems lie. Then we use Slido for getting specific feedback on the most burning areas. So if employees scored low in some areas, this is the opportunity for them to give us direct feedback via open text polls. It’s much more efficient than if they were to write an essay to each question in an original survey. When you compare your meetings now and before you used Slido – how have they changed? They are certainly a lot more interactive. I’m not saying they weren’t interactive before, but now we get instant feedback, instant understanding of how people are feeling. Thanks to the anonymous feature, we’re able to hear more voices of the people who wouldn’t put their hand up in the room or step forward. People find it comforting and it’s very useful for us. Another benefit is that in the past, if a thing was tackled at the meeting, it was left behind the second everyone left. Now everything remains in Slido and we can download it and come back to it when needed. This gives people confidence because they see we refer back to their concerns and inputs. And we’ve got to the point where people expect to have some kind of interaction. But my colleagues and I are very careful about not using Slido at every single meeting, so that people don’t become tired of it. What impact did Slido have on the company culture and the people at M&S? I think that people have much more confidence in our leadership and what we’re doing. They have the assurance that we are going to answer all their questions because when Slido goes up on the screen, all the questions are there and everyone can see them. We, as leaders or organizers, aren’t hiding from difficult questions and this transparency builds trust among our employees. What would be your top 3 tips for meeting organizers when using Slido? 1. Be clear what you are going to do with the information you receive – whether you are going to use it in the session or get back to people later on. You don’t want to get to the place where you have people thinking “I always put stuff into Slido and nothing ever comes out of it” because that would damage their perception of the tool as well as their perception of you as a leader. 2. Give real consideration whether to use it, and how to use it. Don’t think it’s the magic bullet for every meeting and every problem. Use it when it gives you the most benefit rather than just because it’s nice to have. 3. Don’t overthink it. Don’t try to be too clever in terms of engineering the questions. It’s a simple tool and that’s what we love about it.